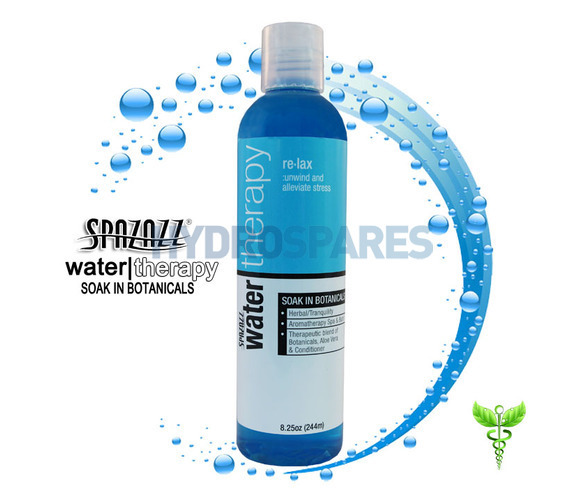 Alleviate stress and unwind with Relax Water Therapy. The clean, fresh smell of herbal botanicals will have you sitting back and meditating on the fragrance which is comforting and familiar. This fragrance will remind you of wild ferns and the pleasant aroma of a nature walk in the woods. A light floral smell will invoke that feeling of walking among wildflowers. Do you get any foam with This product. Hello, we have checked with Spazazz who have said they do not foam. They are also water based and oil free so won\'t build up inside the pipes.